Mattebox comes with both 4:3 and 16:9 aspect ratio format so that this mattebox can be used with both normal as well as wide angle lenses. 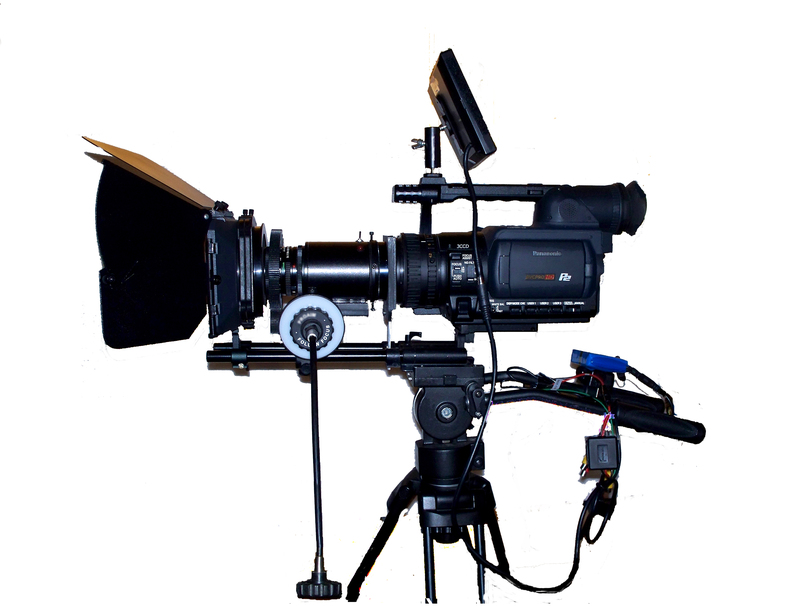 4:3 and 16:9 ratio mask can easily be attached or detached with four small screws in the front of the mattebox. 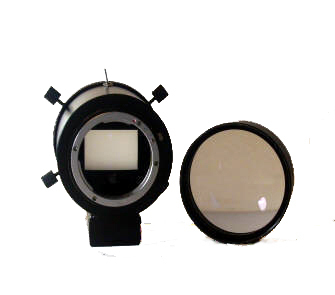 Sunshade/filter holder features a non-reflective rectangular shade that allows for single or dual filter applications. 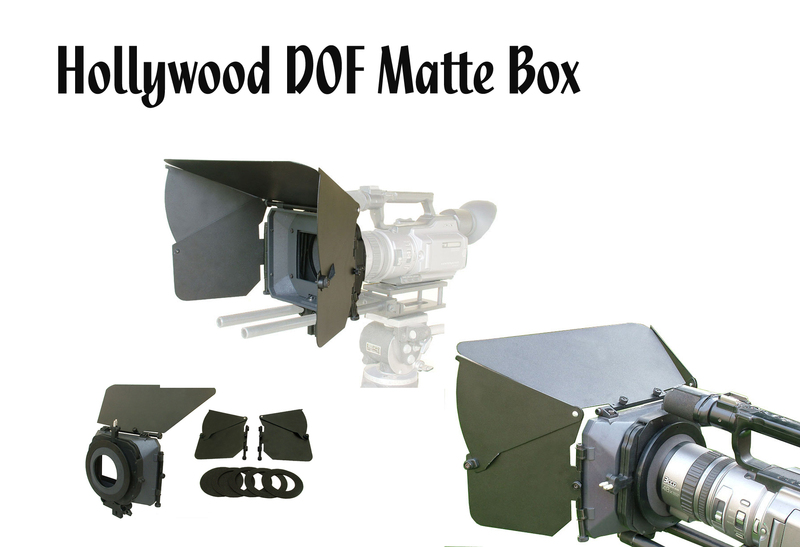 This Mattebox has two 4"x4" filter holders; perfect for polarizer and combination of square filters.Rotating filter holder enables user to eject or install square filter without disturbing microphone or flash settings. 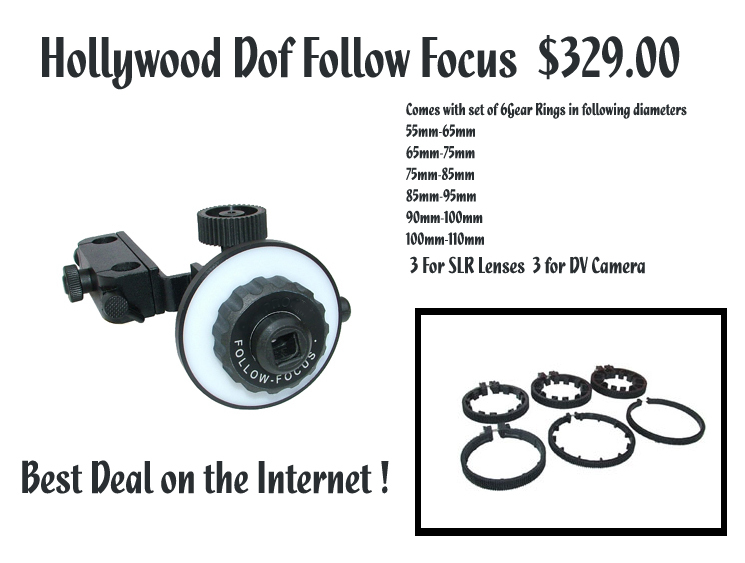 FOAM DONUT RINGS : Mattebox with rod support attaches to the DV cameras in such a way that only a soft foam cushioned lens ring (DONUT) contacts lens barrel, so you don't have to worry about your lens during the bumps and grinds of capturing exciting footage. 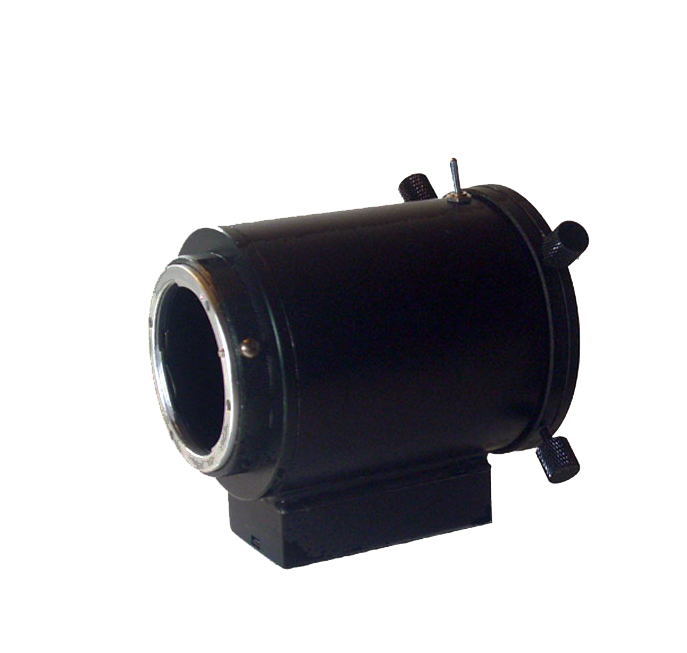 Kit includes five donut with inner diameter 81mm, 78mm, 75mm, 65mm, 54mm. 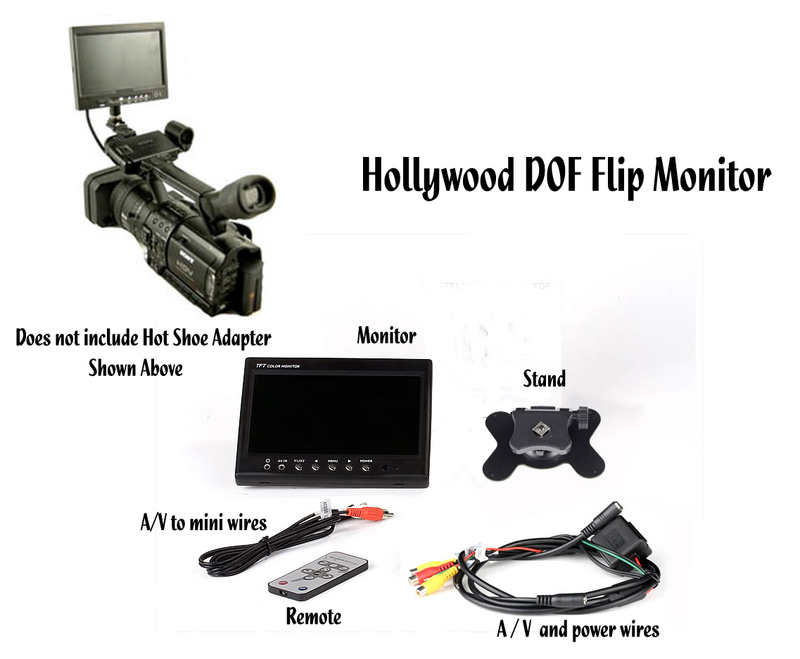 Hollywood DOF Battery 4800 mA hrs. 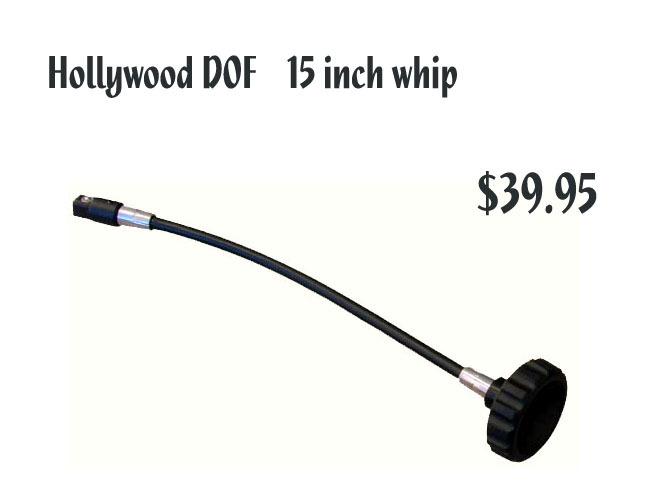 4.Hollywood DOF Whip for Follow Focus. 8. 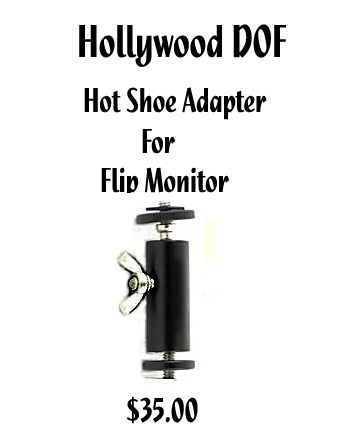 Hollywood DOF Hot Shoe Adapter. 9. 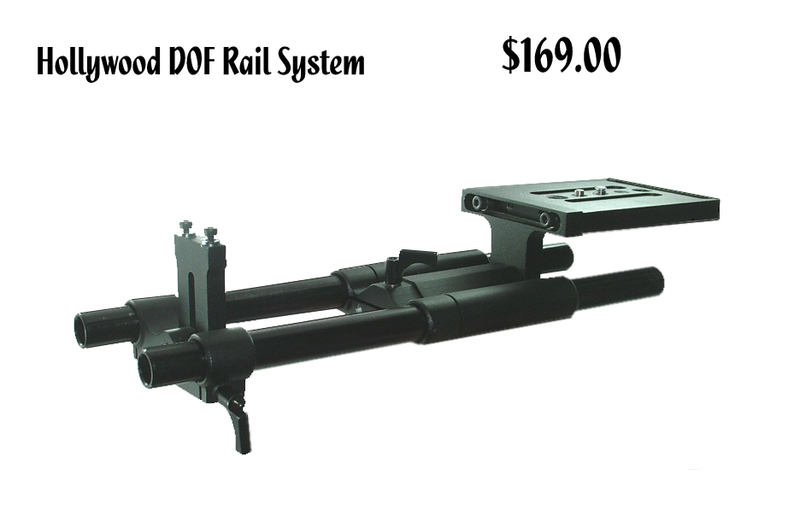 Hollywood DOF Adapter Support for Rail System. This product is not offered except in the Mega bundle. A $45.00 value. 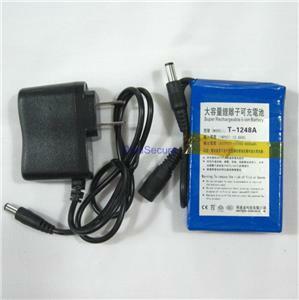 Please allow 3 weeks for Shipping and Handling for all Products.